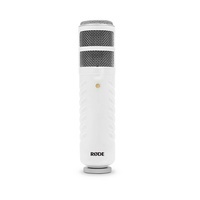 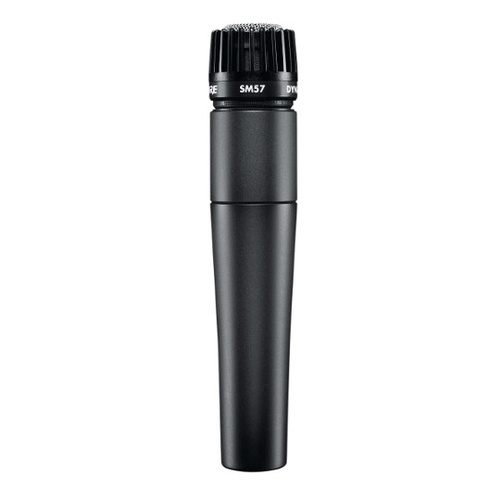 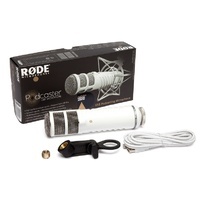 The RØDE Podcaster is a dynamic, end-address USB microphone that combines broadcast-quality audio with the simplicity of USB connectivity, allowing recording direct to a computer without the need for an additional digital interface. 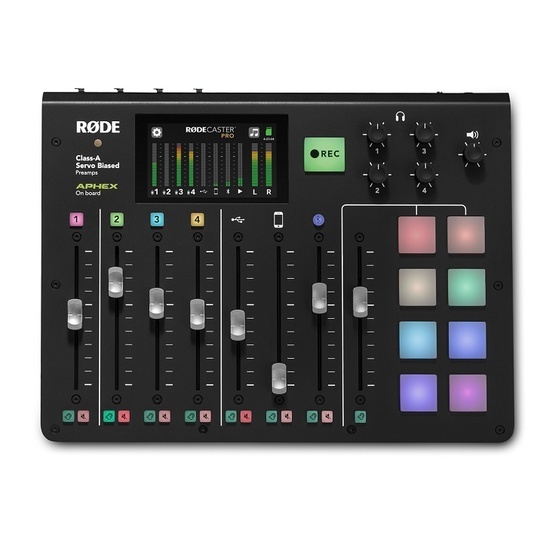 Including an audiophile quality 18-bit resolution, 48kHz sampling A/D converter, the Podcaster processes all of the analogue-to-digital conversion internally, bypassing the computer's lower quality on-board sound controller altogether. 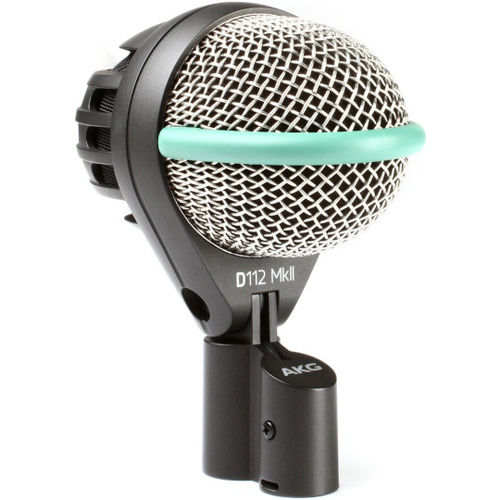 A headphone output on the microphone body provides zero-latency monitoring, so the user can hear exactly what is being recorded, free of delay or echo. 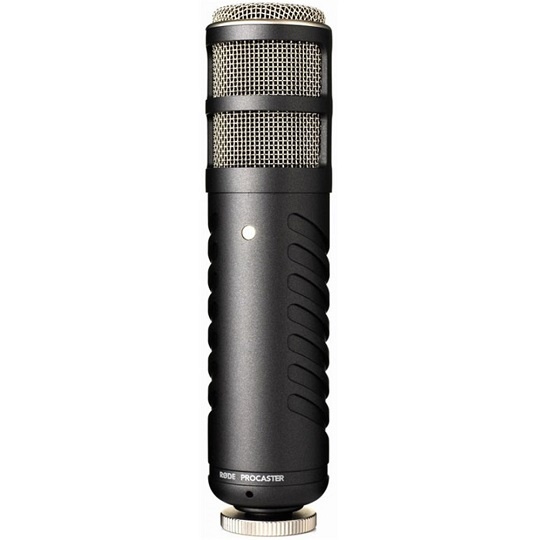 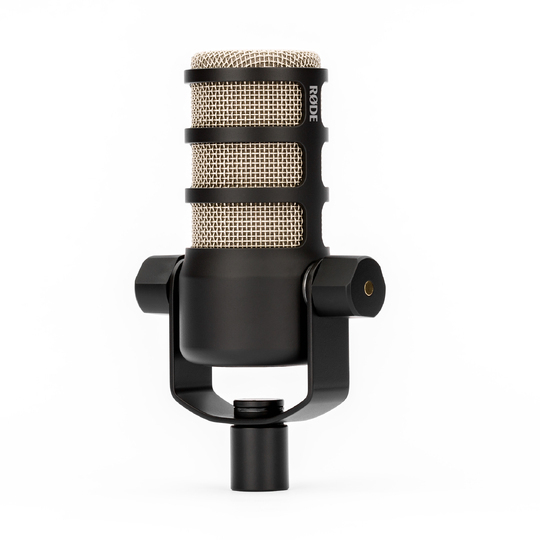 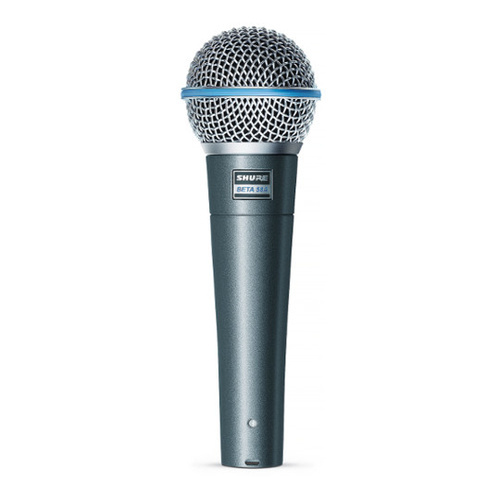 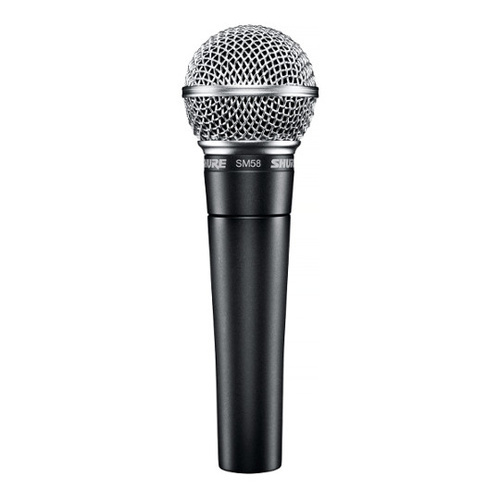 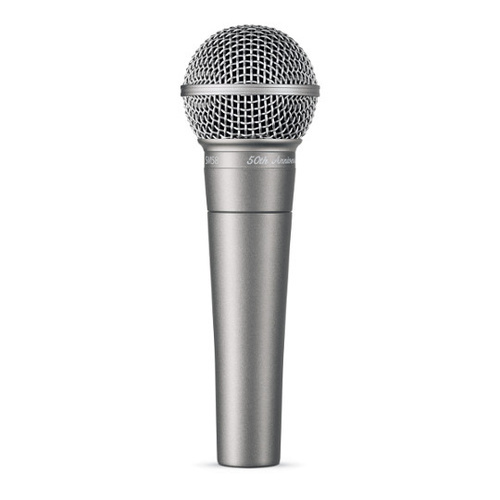 The Podcaster features an internal pop filter, designed to minimise plosives sounds that can overload the microphone capsule and distort the audio output. 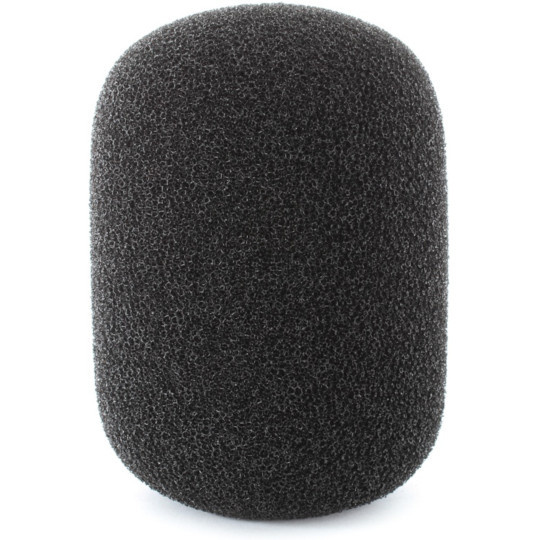 It is fully compatible with Windows 7, Windows 8 and Mac OS X computers, as well as several Linux distributions. The microphone is bus powered and features a status LED to indicate operation. 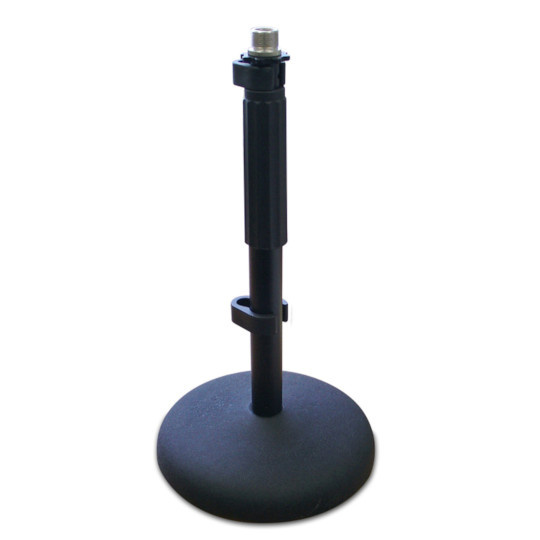 It can also be used as an iPad microphone for the Apple iPad (in conjunction with the iPad Camera Connection Kit and a powered USB hub) to provide high quality recording to various iPad audio applications such as Garageband. 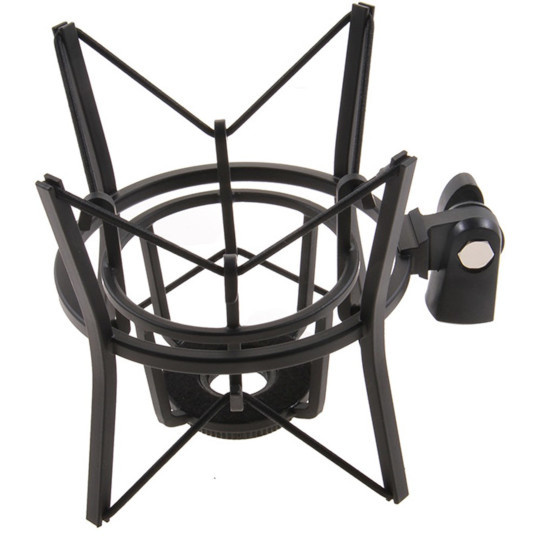 The Podcaster includes a sturdy RM2 microphone ring mount. 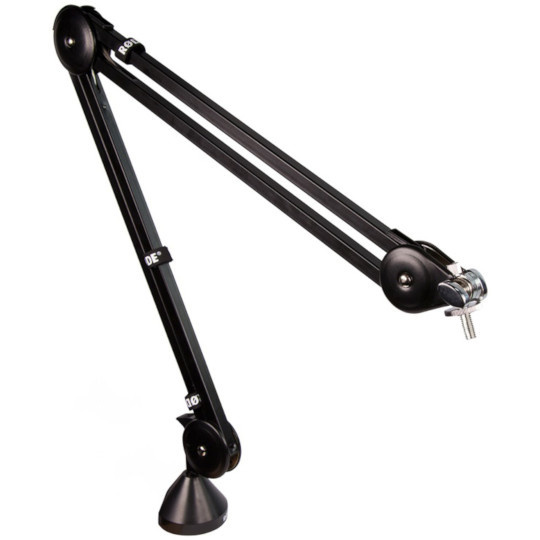 For professional applications the optional PSM1 shock mount and PSA1 boom arm are highly recommended. 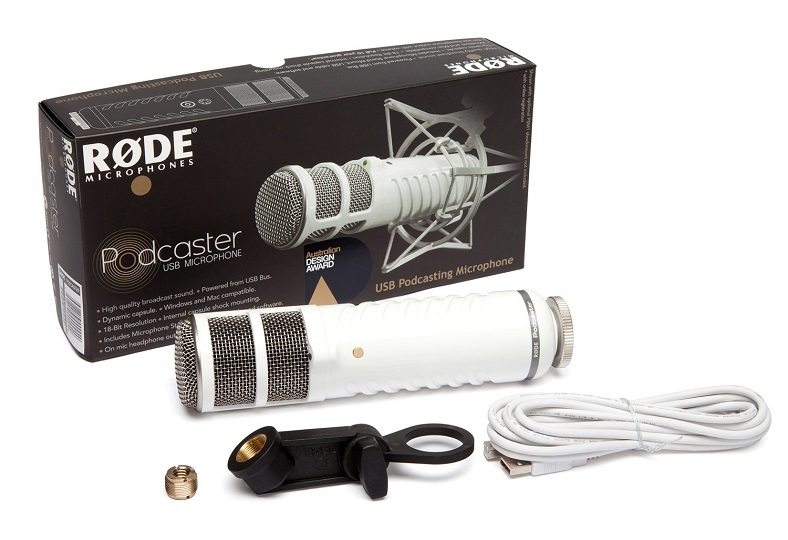 The RODE Podcaster makes high-quality computer recording easy!